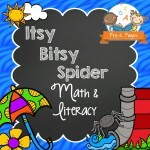 This activity incorporates development of fine motor skills as well as letter identification. 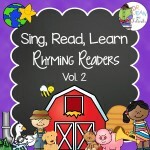 Both upper and lowercase versions of the game are included. 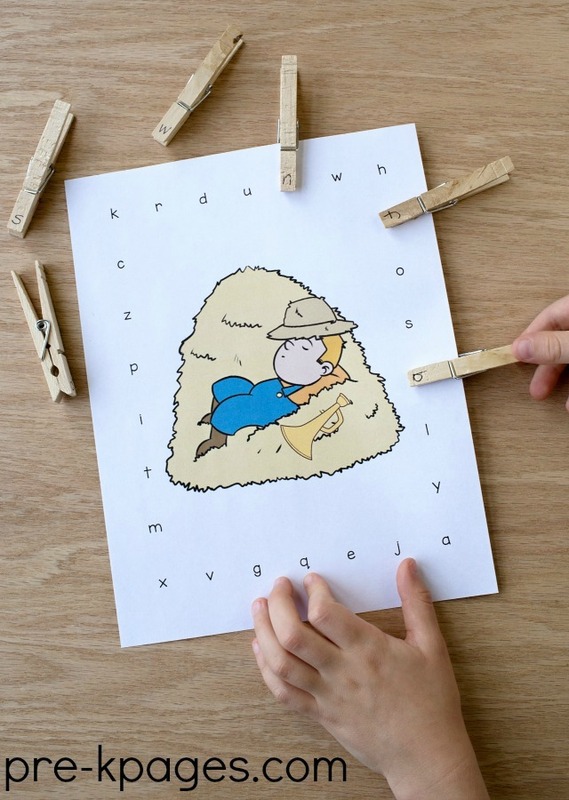 The alphabet clothespin activity is included in the Little Boy Blue Literacy and Math Packet located in the printables section below. 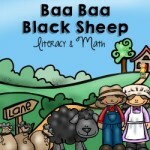 Available in both black and white and color, this is a fun game that reinforces letter identification skills. 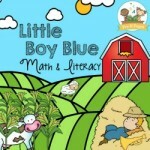 The alphabet game is included in the Little Boy Blue Literacy and Math Packet located in the printables section below. 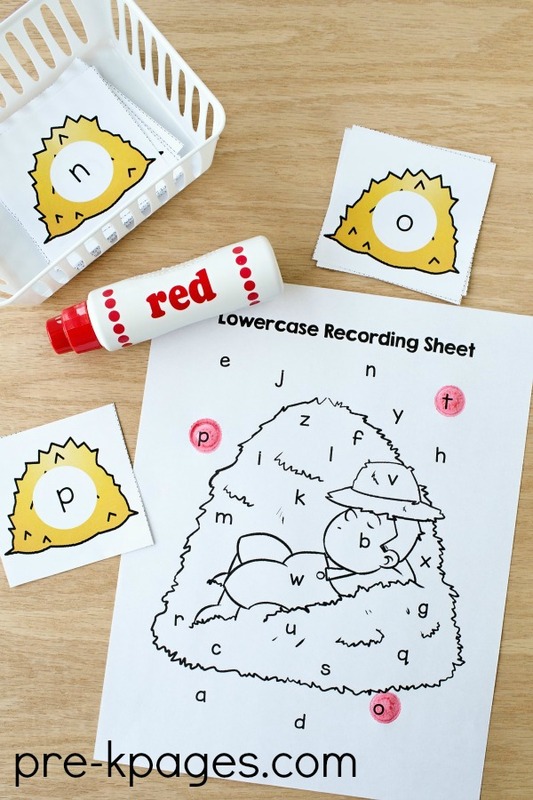 The game also includes two black and white recording sheets, one for upper and one for lowercase letters. 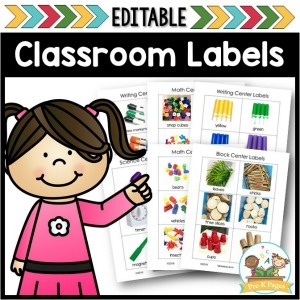 The alphabet t-charts in both black and white and color will provide students with visual discrimination practice. 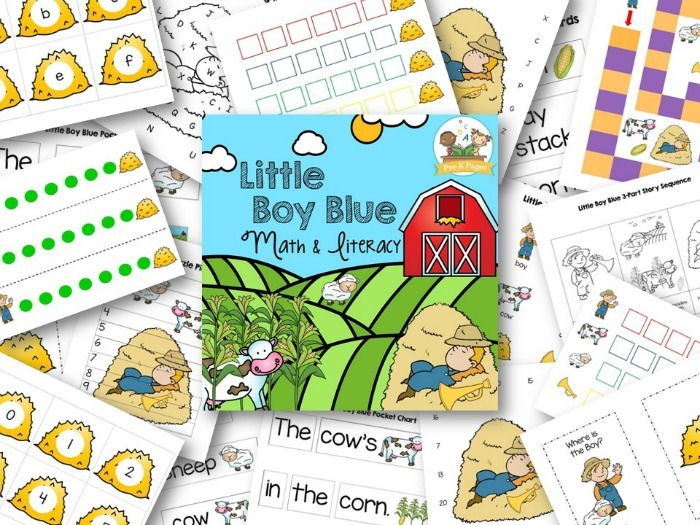 You can find the alphabet t-charts in the Little Boy Blue Literacy and Math Packet located in the printables section below. 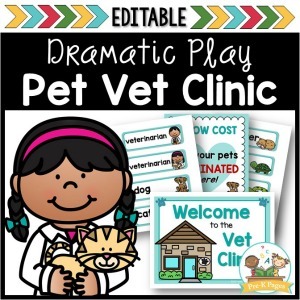 The pocket chart set will reinforce concepts of print such as left to right, return sweep, one-to-one correspondence, simple sight words and more. 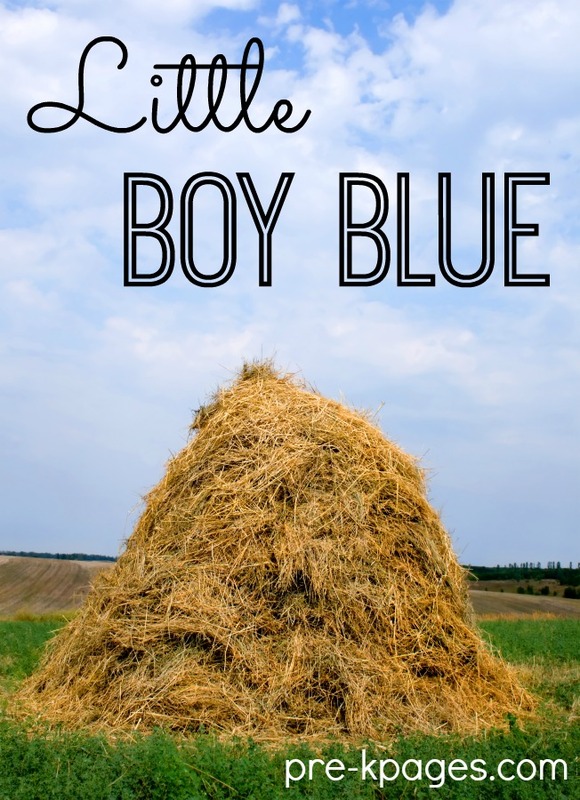 This activity is available in the Little Boy Blue Literacy and Math Packet located in the printables section below. 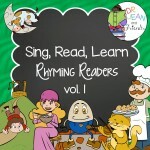 Students will cut and glue pictures from the rhyme in the correct sequence on construction paper. Both three and four part sequence pictures are available to meet the needs of your students. 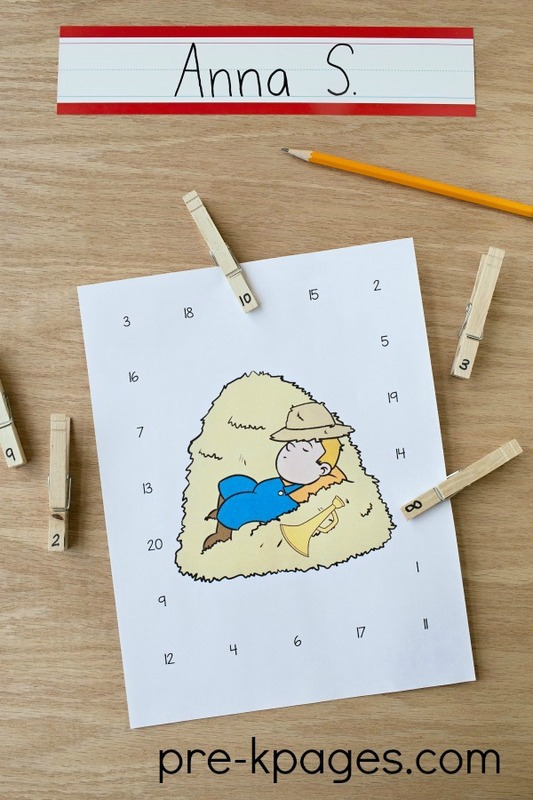 While I am not a big fan of worksheets, this activity can be used to measure comprehension, sequence of events, and the ability to follow directions. 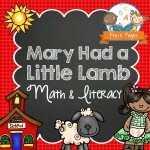 This activity is included in the Little Boy Blue Literacy and Math Packet located in the printables section below. 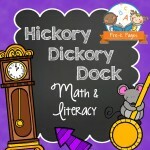 The printable word cards can be used to support vocabulary development and comprehension; place the cards in a pocket chart or on your word wall. 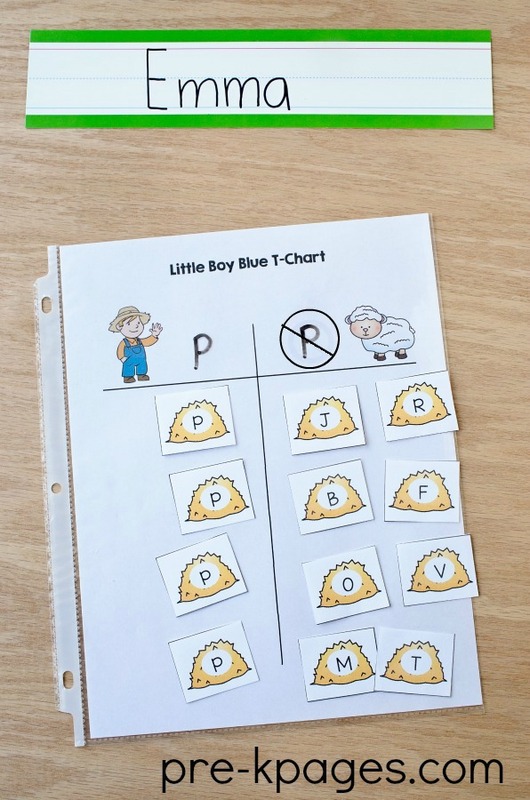 The word chart can be used to support your emergent writers. 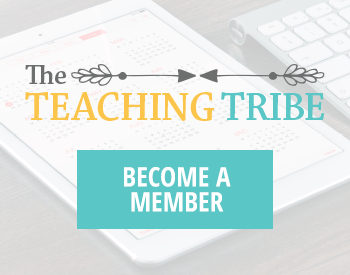 Make the charts available to your students during independent writing time. 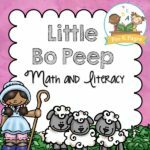 The chart and cards are available in the Little Boy Blue Literacy and Math Packet located in the printables section below. 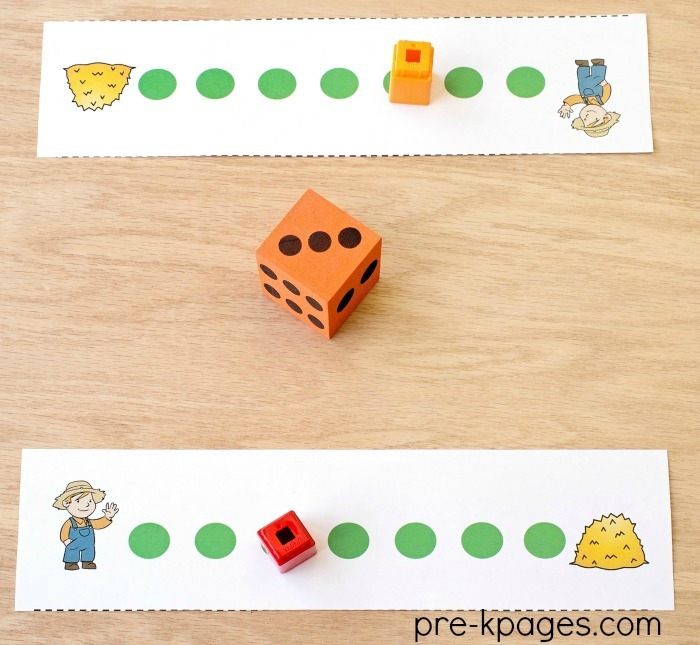 This set of 3 path games can help build number sense and one to one correspondence skills. One individual linear path, one group linear path, and one complex group path game are included. 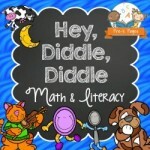 All three games are available in the Little Boy Blue Literacy and Math Packet located in the printables section below. 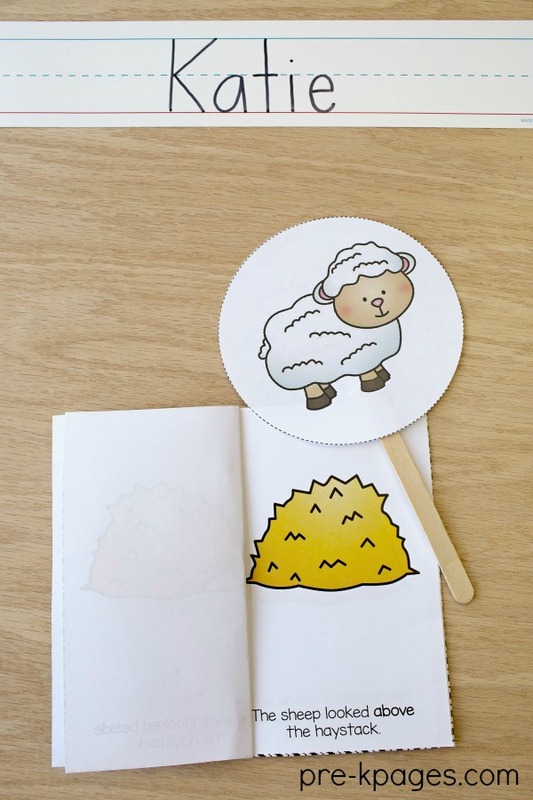 This printable book is quick and easy to assemble (no cutting required) and will provide your students with a fun and interactive way to practice prepositions or positional words. 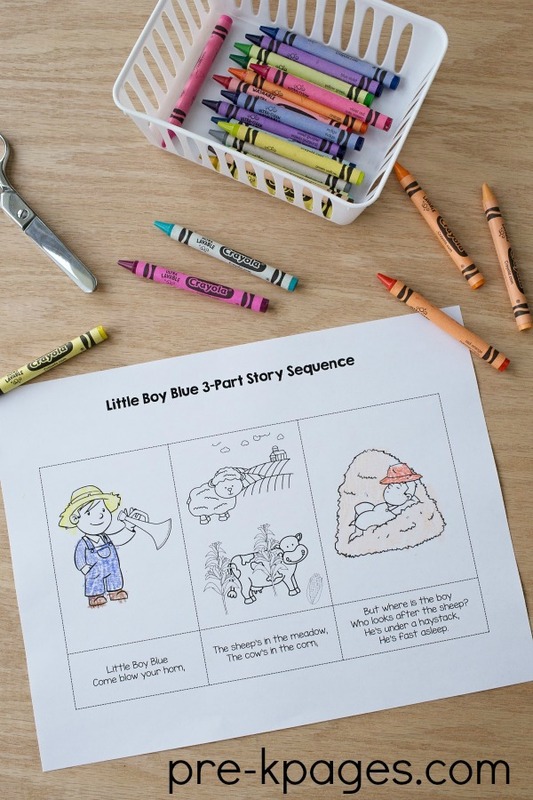 This positional words booklet is available in both black and white and in color in the Little Boy Blue Literacy and Math Packet located in the printables section below. Students will practice putting numbers in order 1-10. 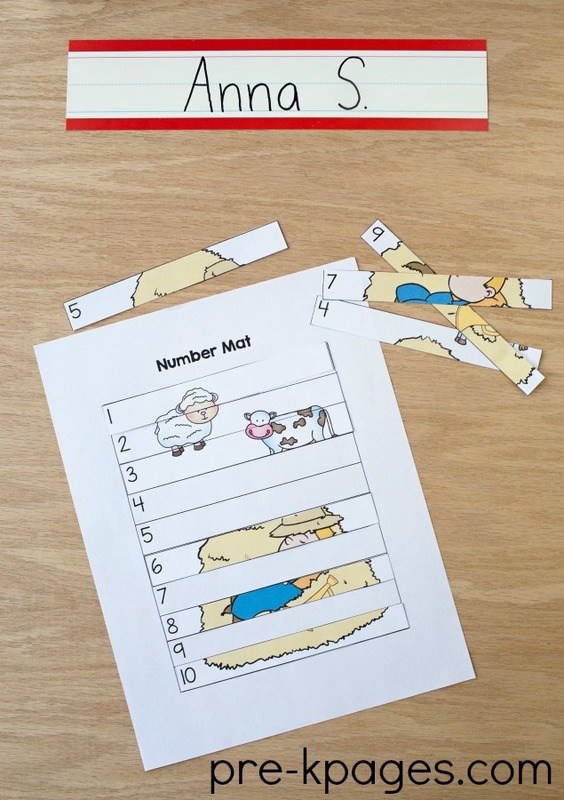 Included are two different puzzle mats, one with numbers for matching and one without numbers for those students who are ready for more of a challenge. The numbers puzzle is available in the Little Boy Blue Literacy and Math Packet located in the printables section below. 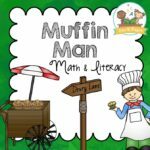 The number game is available in both black and white or color in the Little Boy Blue Literacy and Math Packet located in the printables section below. 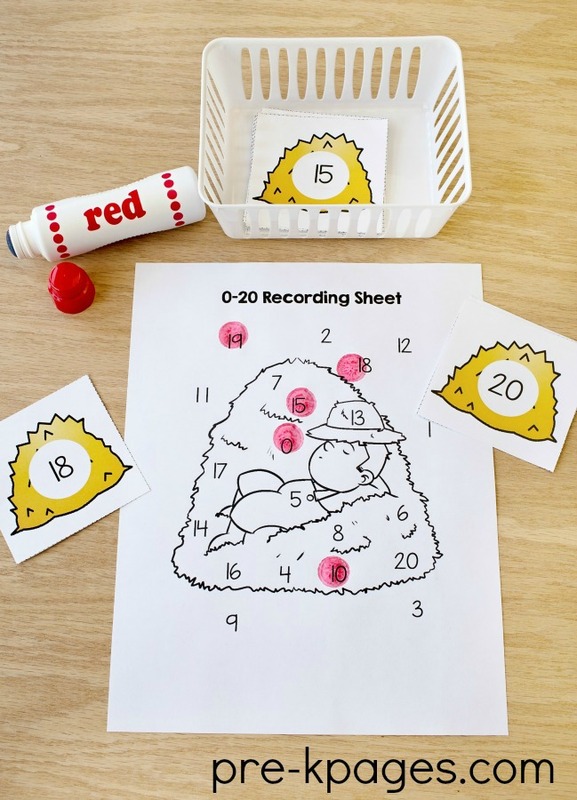 This number game can be played two ways, to practice identifying numbers 0-10 and also for identifying numbers 0-20. Also included are two printable recording sheets, one for each version of the game. 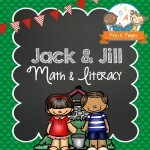 This activity incorporates development of fine motor skills as well as number identification. The clothespin number identification game includes two versions, one for identifying numbers 1-20 and another for identifying numbers 1-30. 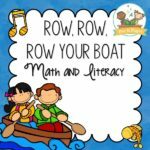 The number clothespin activity is included in the Little Boy Blue Literacy and Math Packet located in the printables section below. 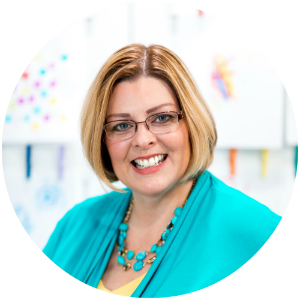 Please read the Product FAQ’s before you make a purchase. 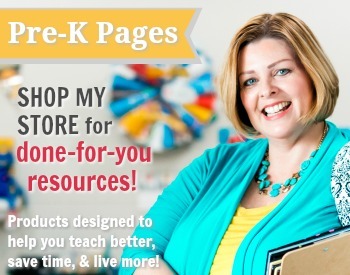 Upon purchasing you will be able to immediately download your product. Please note all orders are sent digitally; you will not receive anything in the US mail.